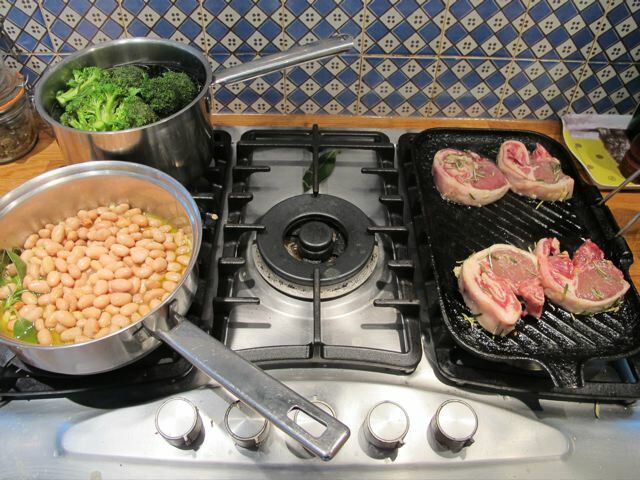 Lamb chops, borlotti beans and broccoli. 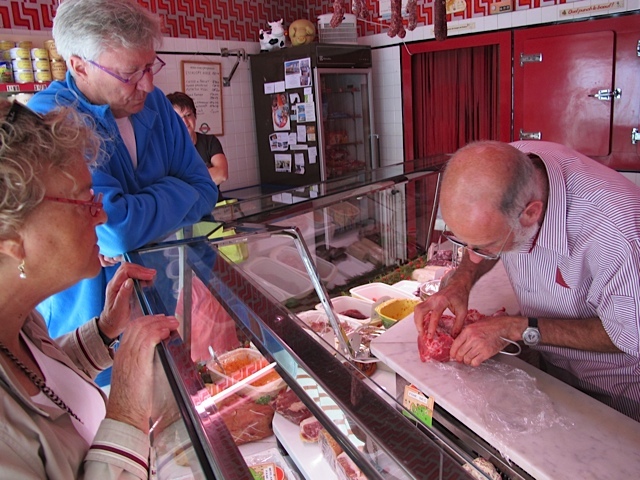 We eat relatively little red meat. The beans are from Italy, bought in jars. They grow in beautiful red spotted pods–the beans turn brown when cooked. The broccoli I bought from the organic market in Castres, yesterday afternoon. An hour or two before you eat “pestle” the rosemary needles up (i.e. smash up!) 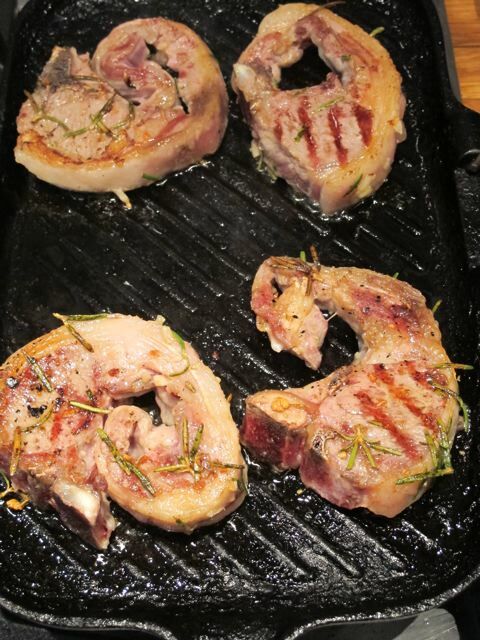 with the garlic and a pinch of salt in a mortar and add the oil–this is the marinade for the chops. Pour this fragrant mix over the chops in a bowl and turn everything to coat the chops with the marinade. leave initially in the fridge–covered; then take them out an hour before cooking them. Season the chops and put them on the grill. Timing depends on your taste and their thickness–3 to 4 minutes a side and they’ll retain some pinkness. While they cook gently sauté the garlic and sage in the olive oil in a small pan until the garlic begins to colour. Add the half stock cube (give it a stir to dissolve in the oil). Stir the mix and add a little of the bean liquid or the stock. Cover and cook on for 5 minutes or so. In another pan, steam the broccoli covered until tender but not overcooked. Serve with olive oil and salt on the table.